Hello readers! Today and for the next week I'll be featuring a new series of posts on my blog. It came from the idea of my Author of the Month posts and an English assignment. Author of the Month has been a fun feature for me during the past year because I got the opportunity to interview some of my favourite authors. However most of those interview were rather generic and didn't pertain to a certain novel the author had written. So I thought it would be a fun activity to showcase for the next week some "Reader Response" interviews conducted with an author for every one of my favourite YA genre categories. 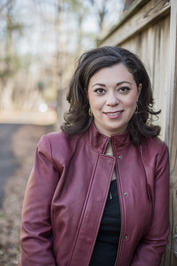 Today's author is a writer of fantasy, and for the next following days you will see interviews conducted for the following genres: historical, contemporary, Science fiction, Mystery, and Horror. These interviews take an in-depth look at one book the author has written, so my suggestion is that if you have not read the book, you may want to swing back to my blog once you have. But if finding out some detail doesn't effect you then read on. To go along with these interviews will be a brief review at the bottom of the post. Happy reading! Sabrina: Good morning Elise, thank you so much for taking some time out of your busy schedule to answer some of my questions. Elise: It's always a pleasure to have the opportunity to connect with readers. Thank you for reaching out! Sabrina: Throughout the beginning chapters of Air Awakens, Vhalla is corresponding with the “phantom” and we as readers get to read the letters. Do you feel that having the readers get the chance to see the letters impacted their experience differently? Considering since at the time we did not know who the “phantom” was. Elise: The correspondence through letters really was one of my favorite parts of AIR AWAKENS because of how much they accomplished. From a story perspective, two characters who would be completely blinded by their prejudices toward each other if they had met outright could engage in discourse with some of those feelings mitigated. It also underscored the value each of them placed in intellect. From a reader's perspective, I think it was a similar experience. While I'm sure most readers had their suspicions on who the "phantom" was, they weren't certain and learned alongside Vhalla both about the "phantom" and his knowledge. Additionally, it offered a subtle way in the tone of the letters, and formalities (or lack thereof) exchanged to show the reader the developing closeness between the two. Sabrina: Aldrik’s mother had a Rose garden and it’s mentioned that Aldrik smells a little like roses, was there a particular reason why you chose this flower over any other? Elise: Roses have always been one of my favorite flowers as a result of an anime that was particularly influential to me earlier in life: Revolutionary Girl Utena. Roses are particularly important in this show and the rose garden was an homage to both the anime as inspiration and the impact it had on my life. 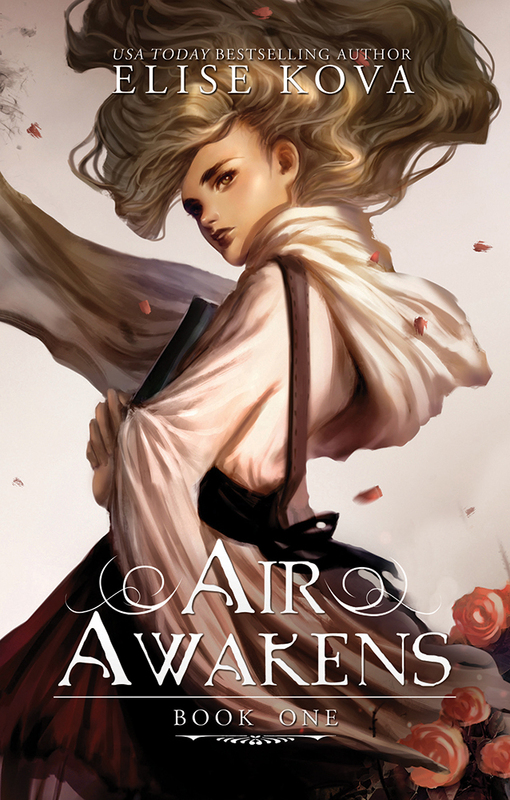 Sabrina: Throughout writing Air Awakens, were there any characters that made you frustrated? Elise: Honestly, Vhalla! Firstly, the story is told only from her perspective. So even though I, as the author, know the whole truth, I can only write from the truth that she would know. She's also lived a very sheltered life up to Air Awakens and is a bit naive, despite her book smarts. So, there are many times she would make what I (and I suspect many readers) consider a foolish decision, but it's truthful to her character and what Vhalla would do, so I ultimately decided to keep such things. Sabrina: We as readers experience a lot of difficult scenes that must have been hard for Vhalla to go through. Did you have a scene in particular where it was difficult for you to write out? Elise: At the end of the first book, the jail scene was particularly difficult to write. The first draft of that scene was a lot more intense and was actually edited down. Sabrina: Magic and having an affinity was a sensitive topic for some of the characters in Air Awakens. Did you feel it helped Vhalla’s character grow in a sense because some of her closest friends didn’t regard magic in a more positive way? Elise: I think every experience helps mold and shape a person--both positive, and negative. In my belief, it's when the people whom you hold dear, whom are your counsel, disagree that you really grow as a person. Because it forces independent choice, disregarding what either side may believe, in favor of what will make the individual happiest. Air Awakens speaks for itself, with having a lot of great things about the read. This novel was definitely character driven however I think the story would have to have been my favourite part. Usually for me it's all about the characters, however this novel's premise definitely sucked me in. I hadn't really ever seen or read much where the main character apprentices in a library; let alone reads and gets lost in books as much as I do. I also liked the sorcery aspect to the book as well. The main character Vhalla was new to sorcery, while it was being described for her benefit so she could learn, it also helped the readers understand but not feel like they were being informed. I also liked that the sorcerers magic all had element aspects to it (Firebearer, Waterrunner, Windwalker, Groundbreaker). The story was also really well put together, especial;y considering it was the first book in the series. Though there was a lot of information to take in, I however never once felt confused or lost while reading. It was also a roller-coaster of emotions, one minute you were gushing and then the next you were frustrated. Overall it Kova demonstrated her ability to captivate readers and craft a story worth reading.